Rarely do consumers have enough time to actually enjoy and spend time with a device before analysts and so-called industry experts begin to make predictions about the next big release. 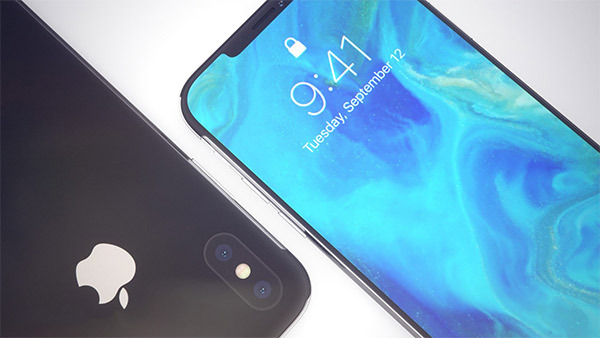 With speculation already circulating regarding Apple’s next iPhone flagship, a new set of concept renders have emerged which have visualized a number of predictions about this year’s main iPhone model. The renders, published by iDropNews, don’t focus on being an imaginative concept device or attempt to introduce any insane or whacky element to the device. Instead, the visuals focus on a device which is largely identical to the current iPhone X flagship but with smaller notch at the top of that beautiful OLED display. The theory is that Apple could integrate all necessary Face ID components into the forward-facing camera with its next release, which, in turn, would reduce the amount of space needed on the notch. 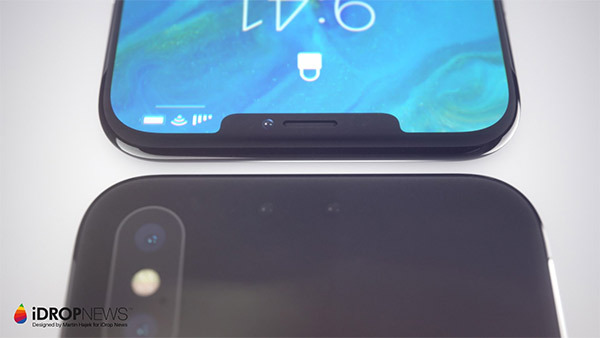 A smaller notch means that users would be given additional screen real estate due to the fact that Apple wouldn’t have to house as many sensors or components in the cut-out. Interestingly, the designer behind these renders also seems to be able to imagine a scenario where Apple’s engineers could actually reduce the size of the already tiny bezels around the OLED panel. The renders also show the rear-facing camera being amended slightly to be flush with the shell of the next-generation iPhone. If accurate, this would remove any protrusion that a lot of users don’t seem to like. One of the images shared in the set will immediately start a heated conversation. 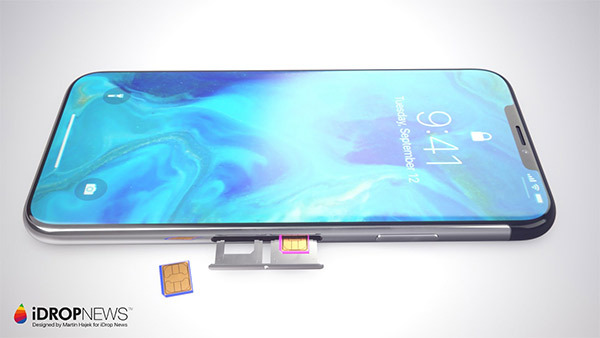 Ming-Chi Kuo of KGI Securities has predicted that at least one of Apple’s next iPhone models will come with a dual-SIM tray, which is depicted in the renders. 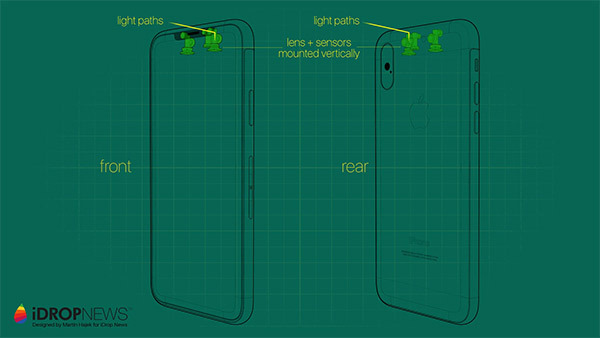 Not just that, while it has already been reported that Apple is unlikely to pack an additional TrueDepth camera to the rear of the upcoming iPhone, Martin Hajek believes that perhaps the iPhone-maker doesn’t have to take that route by making the sensors bi-directional “The company could use one camera and one set of True Depth sensors — and just make those components dual-directional by mounting them vertically.”. The renders are extremely pleasing to look at and instantly give potential device owners an insight into what a next-generation iPhone could look like with a smaller notch, reduced bezels, and an ejected SIM tray that’s capable of handling multiple SIM cards. If Apple is using its engineering resources to head toward a truly all-screen smartphone, these images give a decent indication of what the next step could be on that journey.